Students across the country walked out of their classrooms to protest gun violence in schools. 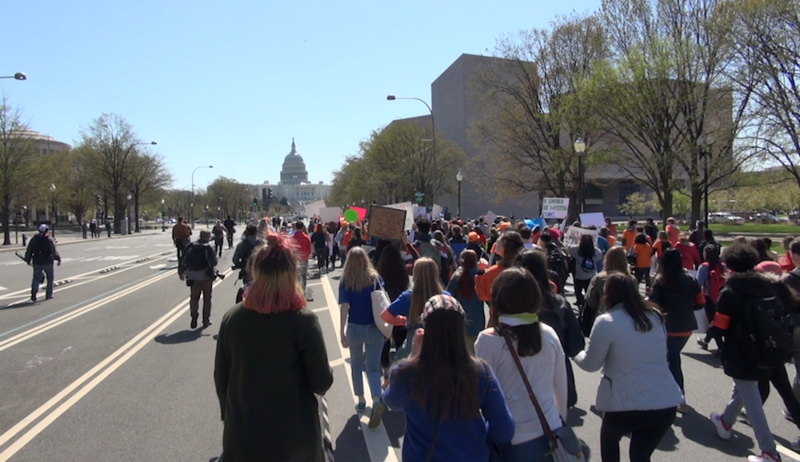 WASHINGTON – Hundreds of local DMV students walked out of their classrooms today to march from the White House to the Capitol, to urge lawmakers to pass legislation for gun control. Students in D.C. were joined by students from across the country, and the National School Walkout estimated that students from more than 2,500 schools nationwide planned to participate.